Oracle VM VirtualBox allows users to run nearly any operating system on a single machine and to freely switch between OS instances running simultaneously. 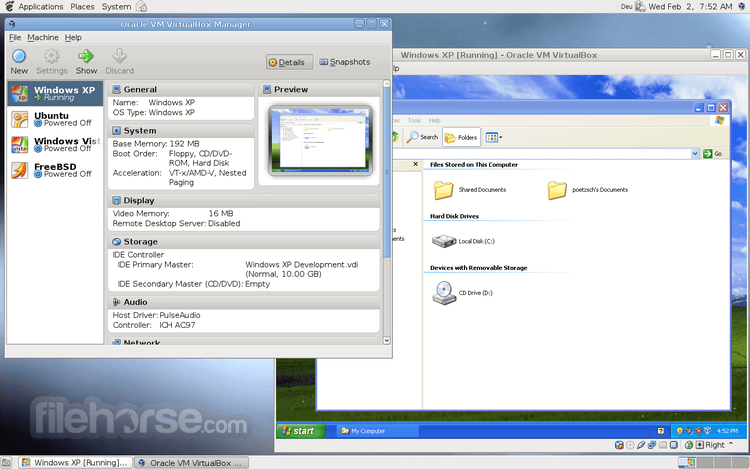 VirtualBox is a general-purpose full virtualizer for x86 and AMD64/Intel64 hardware, targeted at server, desktop and embedded use. Not only is Virtual Box an extremely feature rich, high performance product for enterprise customers, it is also the only professional solution that is freely available as Open Source Software. 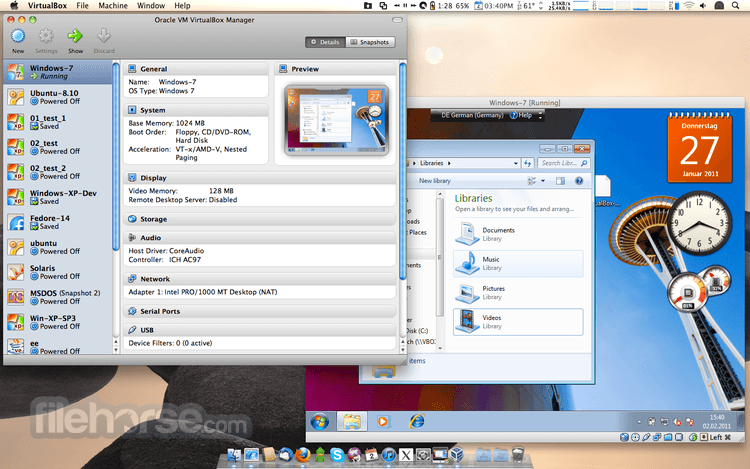 Run macOS on Windows for Free with VirtualBox today! It is able to expose a paravirtualization interface to facilitate accurate and efficient execution of software. Once the virtual machine platform is defined, Oracle VM VirtualBox improves guest OS performances by leveraging built-in virtualization support (KVM on Linux guests and Hyper-V on Windows guests). Starting from Oracle VM Virtual Box 5.0 improved the support of a bi-directional drag&drop between guest and host operating system; drag and drop support is available with latest guest-additions installed. It now supports starting virtual machines in the background with a separate front-end process that can be closed while the virtual machine continues to work. Note: To extend VirtualBox capabilities it's recommended to download and install VirtualBox Extension Pack.